Email admin@bikex.net to receive email alerts for new announcements. 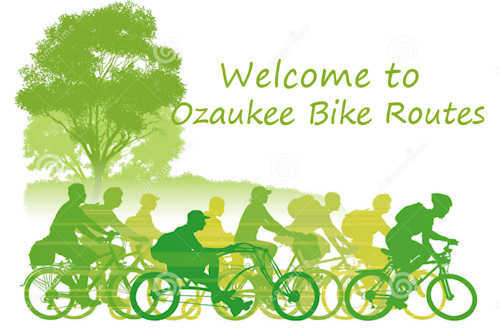 We had two Ozaukee Bike Routes goals for 2018: First, update the website and Second, layout 8 new “short” routes for casual riders. We did meet the first goal, but not the second due to the messy reality of life getting in the way (i.e. some medical issues). So, our goal for 2019 is to layout those 8 easy routes of less than 15 miles each. The new routes will highlight 8 sections of the Interurban Trail - starting in Milwaukee County and ending in Sheboygan County and centered around common landmarks along the way. Please see the Gallery Section of our website. These short routes will use the Interurban Trail along with some public roads to visit interesting local attractions and food-coffee stops. Every effort will be made to minimize automobile traffic but all public roads represent some degree of risk. We’ll start work on these short routes in the Spring of 2019 and all suggestions are welcomed. 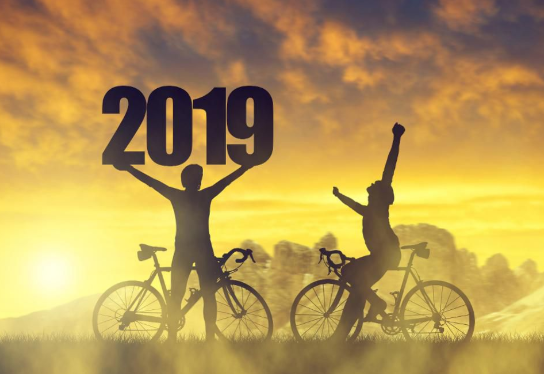 We wish all of you the best of cycling this year and for many years to come! PS: Some of you may have seen the Adventure Cycling Bike Bits link to the Forbes cycling article (click this Link ): "Drive Sharper, Live Longer, Look Sexier And 42 Other Reasons To Ride A Bicycle In 2019"
In the past, Ozaukee Bike Routes website developed 20 bike routes in Ozaukee County that use a combination of the Interurban Trail and quiet rural roads to provide a safe and interesting bicycling experience for both novice and hard-core cyclists. Our two goals for 2018 are first, to add some short routes for the casual rider that focus on the Interurban Trail itself along with some adjacent side trips and second, to update the website layout. This first release of the updated website won’t feature the new trail side trips – these will be added over the next year. This release provides a framework for those new routes – it lays out six sections of the trail plus access points from Milwaukee and Sheboygan counties. Our hope is that some trail riders will help us in providing photos, videos and comments related to those six sections. Please send an email to admin@bikex.net if you’d like to help. And here’s wishing you a great cycling experience in 2018 and beyond!